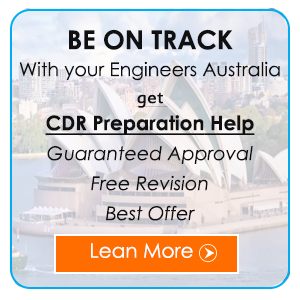 Your career dreams in the country of Australia depend on a positive assessment of your Competency Demonstration Report (CDR) by the Engineers Australia (EA) assessors. It gives a sneak peek into your own competency levels on the specific engineering domain you are working for. If you are a mechanical engineer, you need to emphasize more on the designing of the internal combustion of the engines, air conditioning, heating, etc. The EA assessors are searing for only competent professionals who can display very high levels f competences in their functional areas. You need to make your CDR Report on Mechanical Engineering likewise and as per the EA guidelines. You need to apply for CDR under a specific ANZSCO Code, and that for mechanical engineering is 233512. 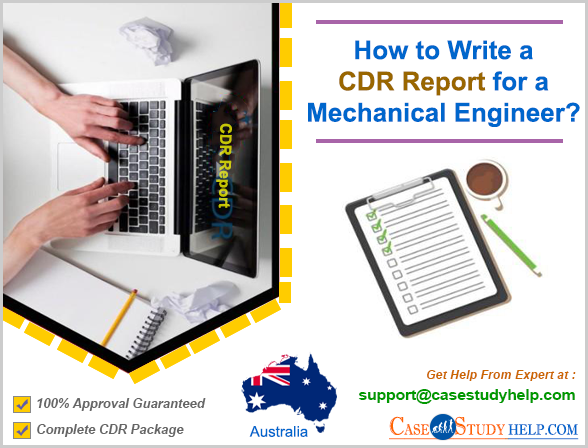 How to Write a CDR Report for Mechanical Engineer? The very first step to write a CDR I am very clear view of the MSA Booklet (Migration Skill Assessment) Booklet. This step will help you in navigating your own way via the tiresome and lengthy procedure most effectively. The CDRs always need to work on the Career Episodes elaborately and highlight the 3 significant events in your professional journey. With each of these events, you need to mention about how you need to speak on how well you can apply your technical knowledge in your domain or area. Via the Continuous Professional Development (CPD) you will get the opportunity in demonstrating your keen interest in your own subject area. The EA assessors look for the validation of your interest in that particular area. Here the requirement is to showcase your own vigor of learning purposes. Here you also need to write about the Mechanical Engineering journals where you have contributed. Summary Statement is a brief description about the 3 Career Episodes and stick to the relevant competency indicators from these three. Here you need to link all the correct events to the very correct competency indicators. Here you also need to mention the correct paragraph numbers for the assessors for verifying your claim. You also need to be very specific in this part. Never use plagiarism in your CDR Report Writing this might end in rejections by the EA assessors and also disqualification from making any further CDR applications to the EA. A mechanical engineer needs to showcase a perfect amalgamation of all the competencies explained in the 3 Career Episodes. Here you need to b stuck to year own area of specialization and domain under which you are doing the CDR application. You can always avail the online CDR report for mechanical engineer writing services from a good provider in the sector. The Casestudyhelp.com is the top name for you in this regard. They will help you in CDR selection as well approval of the work permit visa to live in Australia.